Your wedding day is the most important day of your life, and therefore, there should be nothing cliché about it. The most important thing about the day is the vows that you will make to your spouse and at the heart of these vows, are the rings which will act as a seal. As such, you need to make sure that there is nothing regular about the wedding ring designs that you choose for the occasion because if you are lucky, you will only get to make this choice ones. Previously, custom wedding rings were thought to be a preserve for the power couples that you see in Hollywood, but fortunately, it is possible to have your wedding ring made from scratch. Here is what you need to know about the process. Your budget-If you want a ring which will stand out from what everyone else will get at the jewellery shop, you have to be willing to spend a little extra. The quality of the materials-Not all wedding rings are created equal. Pick a designer who understands their materials well and is generous in size because the need to resize may arise and a thin ring’s integrity will be compromised in the process. Attention to detail: if possible, avoid the jewelers who make their productions for the mass market. Their primary focus is selling volumes, and they may not have the necessary time to pay attention to details. The shank or the band is the essential part of the ring. It will also wear down the most because of abrasion and corrosion. Typical materials include platinum, palladium, gold, titanium, silver, and zirconium. The setting is the part which will hold the center-stone if there will be one. It should complement the color of the stone and make it pop. Together they form the head, along with the prongs that hold the stone and the rock itself. Most wedding rings are just a band with some getting some words embossed on them. 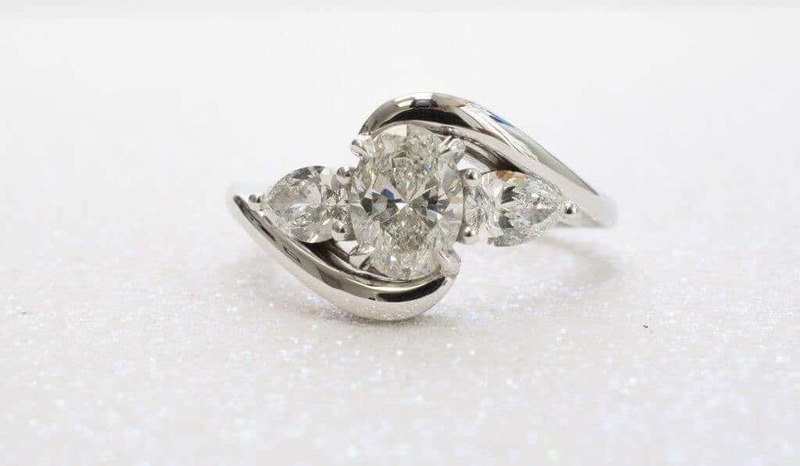 However, there is no rule which says not to go for the ring with a center stone. When designing, tell the jeweler about your design inspiration and have some drawings done by an expert. These are the main steps to follow in getting a wedding ring designed. Most importantly, pick a designer who will listen to your needs and respond to them, choose materials that will stand the test of time, and do not be afraid to go with the styles which do not agree with what is considered the norm. These simple steps will help you achieve the wedding ring of your dreams.